It’s already Episode 3 of the ARG Netcast series. Once again, this week offers the comedy stylings of unfiction’s Sean C. Stacey, the politically-charged folk songs of Giant Mice’s Brooke Thompson, and the gospel hip hop of M.C. Jonathan Waite of ARGNet. 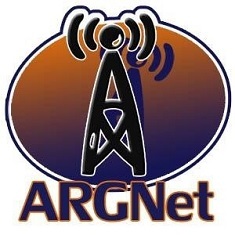 Subscribe to the ARGNet feed through FeedBurner or via iTunes. No response from Mind Candy regarding Perplex City yet, but the Sentinel is back up and us Earthlings are being looked down upon. Oh, those Perplexians. AV wraps up, and the Puppetmaster comes out of hiding. konamouse of the unfiction forums helps out the Three Blind Mice as they try to make sense of the Puzzle of the Week, Sammeeeees’s “Free the Five”. Ny Takma introduces a new character. Trust him at your own risk. Ocular Effect — is it rising from a Near Death Experience? Cassie is Watching, Cathy’s Book, and Edoc Laundry chug-chug-chug along. Hallow’s End launches just in time for Halloween, but we need more information, and you need to send it to us. Yes, you. Studio Cypher will release another ARG soon, see descry.us for more details. Trailheads and Rabbitholes — how far should creative teams go to have them found? We discuss the pros and cons of stealth launches vs. the ‘anonymous tip’. Congratulations to Sylvia, who won a shiny new copy of Cathy’s Book. _mark and molecularr have nothing but accolades for Episode 2, and SirQuady offers up an interesting idea, which we hope all of you listeners can help out with. Vote your butts off, America. In fact, vote more than once, if you can. Also, Oregon mails it in. Contact us at our special netcast email address, [email protected]). Once again, special thanks to Larry Eisner for providing the original music used in the podcast. This will be the last time we specially thank Larry, officially, so we hope he basks in it while he can. The new segment should be called “Back In My Day”. I found the netcast from a google search of Perplex City news. A good resource for keeping up with games if, like me, you haven’t been able to keep up with the forums.